Advanced Wellness Lifestyle Program Series # 3 - Show me some Canadian Statistics on Presenteeism. Employee absenteeism and presenteeism is costing corporations and the Canadian economy billions of dollars. Did you know that in 2011, excluding maternity leave, an estimated 8.1% of full-time employees missed some work each week for personal reasons? Of this percentage, 5.9% of those who missed some work, missed because of their own illness or disability and 2.2% were for personal or family responsibilities. As a result, full-time employees lost 3.7% of their work time each week. This means that on average, each full-time employee lost 9.3 days for personal reasons. Get this! For all full-time employees, the estimated number of days missed were 105 million work days for all full-time employees. Also, another statistic that arose from these numbers was that men lost fewer days than women: Men lost 7.7 days, whereas women lost 11.4 days. Work days missed because of illness or disability tends to rise with age. An average of 5.1 days was missed by youth employees age 15-19. Full-time employees age 55-64 missed 11.5 days. Workers with permanent jobs lost more work days (9.6) than those whose jobs were not permanent (7.0). Days lost tended to rise with workplace size, increasing from a low or 7.5 in workplaces with less than 20 employees to 11.1 in workplaces with more than 500 employees. Days lost also tended to rise with job tenure, with almost all the differences arising from illness and disability. Employees with tenure up to one year lost 6.2 days, while those with over 14 years lost 11.7 days (the latter group was also older). Some human resource practitioners exclude persons on long-term illness or disability leave (exceeding one year) from their attendance management statistics. Such persons are, however, included in Statistics Canada’s work absence estimates if they count themselves as employed (that is, they continue to receive partial or full pay from their employers). In 2011, the number of employed persons on such long-term illness or disability leave averaged 33,200 in a typical week. Absenteeism has significant costs for business and the Canadian economy. In addition to paying an employee, who isn’t working, companies must either hire a temporary worker or ask other employees to work overtime. This creates unexpected costs as high as 25% of direct salary. In addition, remaining employee productivity may be impacted resulting in project or product delays, lost sales, customer dissatisfaction and lagging employee morale. A decline in morale will certainly become a major factor if the absent employee is a chronic abuser of sick leave. 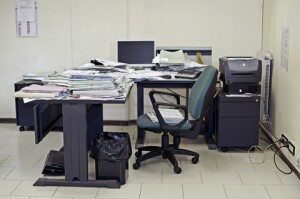 High absenteeism rates may impact your business insurance and workers compensation fees. All of these unplanned absences cost Canadian employers about $7.4 billion a year, according to The Conference Board of Canada. That works out to an annual cost of $572 per employee, a figure that jumps to $1,700 per employee when looking at disability on the whole. I love reading statistics because numbers do not lie. They tell the whole story. In our next blog we will deal with the Average Annual Turnover Rate. Come to our next Zone workshop to learn more.